This soap will whisk you away to a beautiful and calming, flower filled garden. With a light, uplifting and soothing rose floral scent, this gentle, artisan soap will leave your skin feeling clean and soft. 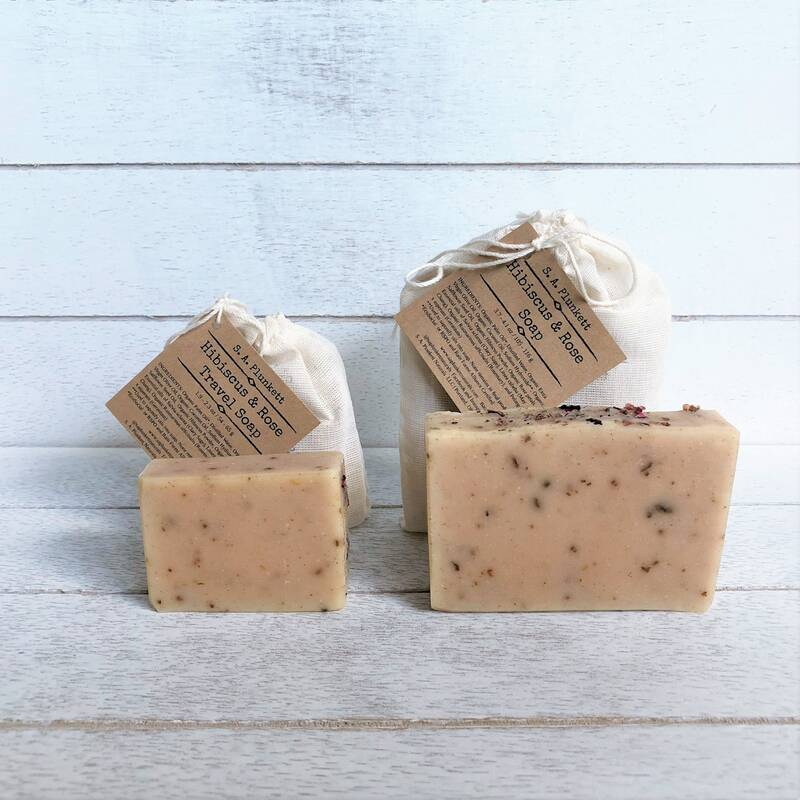 Made with 100% natural and organic oils, and botanicals, hand cut and packaged in a natural cotton muslin bag, this soap is perfect for home or gift giving. Only the highest quality, responsibly sourced ingredients are used, including sustainable, EcoSocial Certified Organic Palm oil and other certified organic plant-based oils.